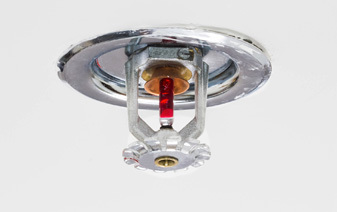 Fire sprinklers are activated by heat from super hot gases. Smoke will not activate a fire sprinkler like Hollywood portrays. Commercial and residential sprinklers have various temperatures to which they react to to customize their application. Only the sprinkler heads activated by the heat will discharge, not all of them at once like Hollywood portrays. Water from one or more sprinkler heads then contain or extinguish the fire. 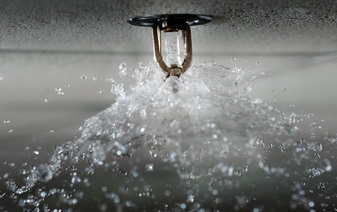 In 90% of structure fires, only one or two sprinkler heads activate, protecting surrounding rooms from fire, heat, smoke and often water damage. There are wet and dry pipe sprinklers for those structures which might have issues with freezing temperatures. Wet has water within the pipes at all times and dry does not. The average sprinkler discharges 15 – 26 gallons of water per minute, compared to 150 – 250 gallons per minute by just one fire hose. If it takes approximately five minutes to extinguish a house fire by the fire department, over 1,000 gallons of water would be used by the fire department versus only 130 gallons from a fire sprinkler for the same amount of time. Most people don’t realize that 8 out of 10 fire deaths occur in the home. They usually happen at night when you and your family are asleep. Fires are also fast; they can go from a tiny flame to total destruction in as little as three minutes. Fire sprinklers can suppress and often extinguish a fire before the fire department arrives, giving your family time to escape. 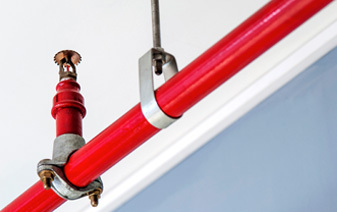 For more information about fire sprinklers, visit the National Fire Sprinkler Association. As of 2005, Ashland City requires all new residential construction to include fire sprinklers.